Whether heading to the beach or enjoying a backyard barbecue, Moët & Chandon’s Ice Imperial and Ice Imperial Rosé, are the first-ever champagnes designed specifically to be enjoyed over ice. They are the perfect summer sips to cool down with this Memorial Day. Any summer gathering can easily be elevated with champagne cocktails topped with Moët Ice. 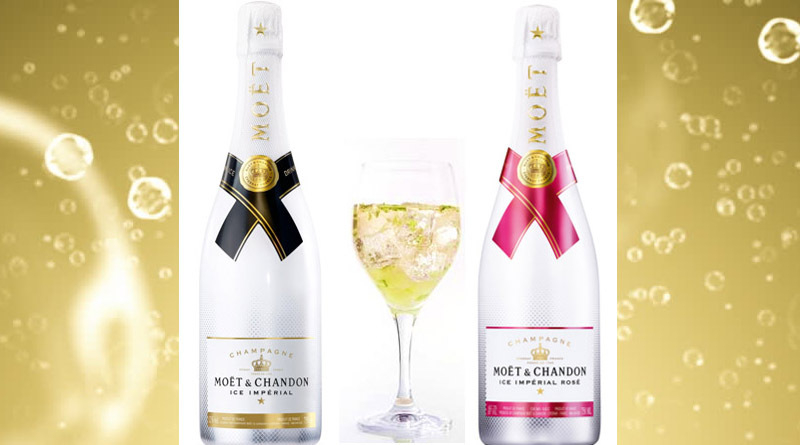 Moët & Chandon first pioneered this trend in 2011, launching Moët Ice Imperial (SRP: $59.00) followed by Moët Ice Imperial Rosé which just debuted last summer (SRP: $75.00). Since then, this style of drinking one of the most classic and revered wines has taken off across the category, with brands vying to create their own variations. The growing trend was first noticed amongst vacationers, particularly Margherita Missoni, in the south of France drinking “La Piscine” cocktails – sipping champagne with frozen champagne ice cubes. 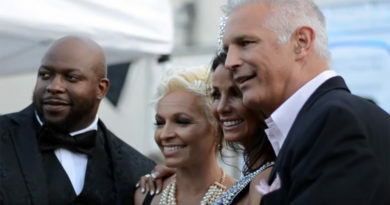 This “champagne on ice” revelation has since made the category more approachable, instead of reserving bubbly for celebratory moments. Method: Add all ingredients except champagne to a shaker. Muddle watermelon (if fresh) and mint leaves. Add ice and shake well. Strain into a large wine goblet (Slap a mint leaf and run around the rim of the glass). Top with 4oz of Moët Ice Imperial and top off with three large ice cubes. Garnish with watermelon, lime slice and mint sprig. Method: Build in Glass. Take on Pomegranate White Tea Bag and steep it in 4oz of Moët & Chandon Ice Imperial for 2 minutes. Add Belvedere Vodka and Ginger Beer. Add Pomegranate ice cubes. Garnish with skewered crystallized ginger and a Sparkler.